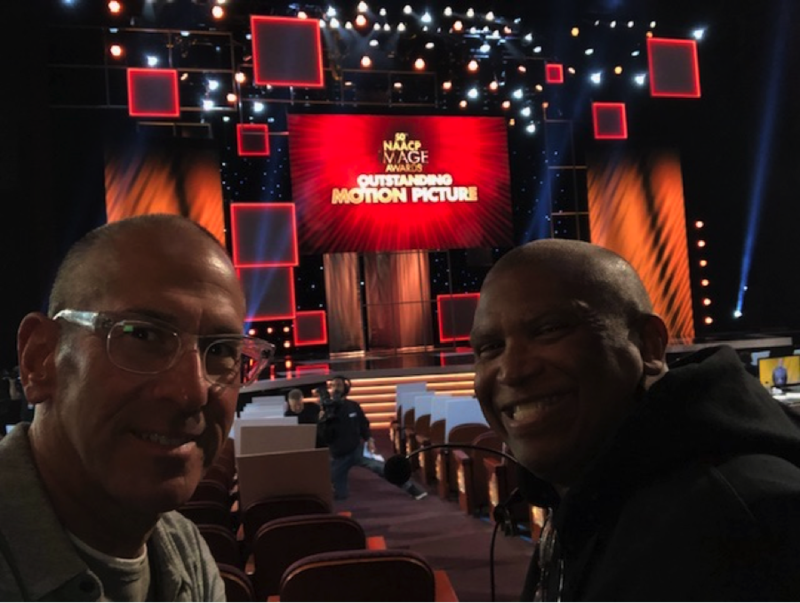 Phil Gurin and I have been executive producing the show for six years. We have a great time every time. Byron Phillips and I producing the show from the floor. We’ve been doing the show together for seven years! Mitch Marchand and Jon Macks write the show. Amazing talents and great guys. …and movies are all in house! 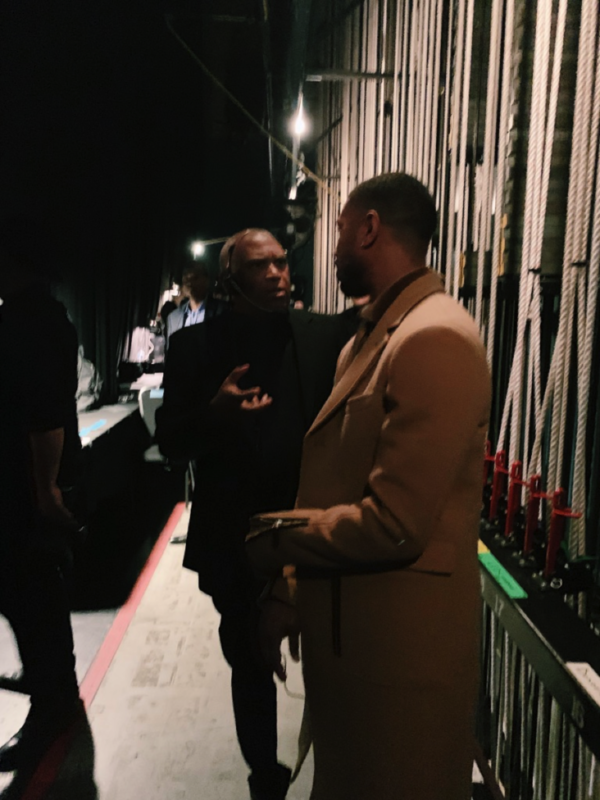 Byron and I talking with Vin Diesel right before he presents Outstanding Motion Picture…which turned out to be Black Panther, of course! 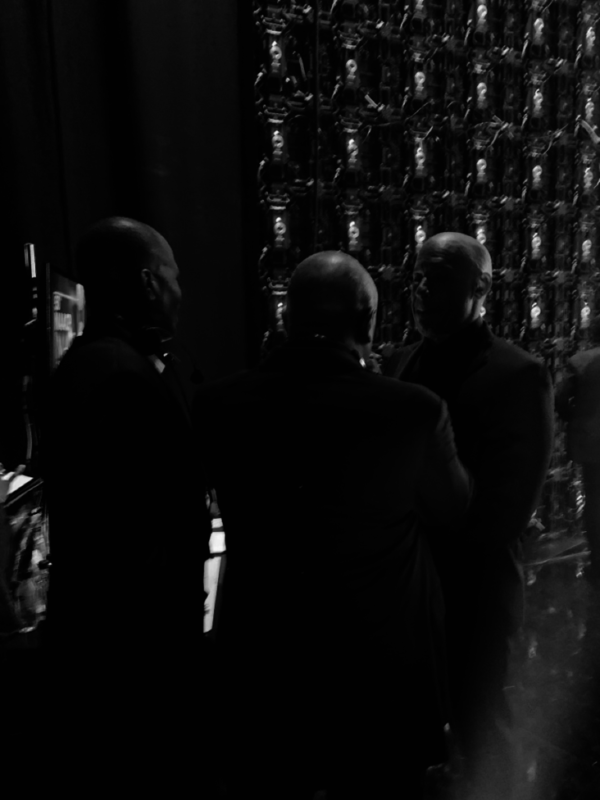 Jay Z after winning the President’s Award. With NAACP president Derrick Johnson and Sen. Kamala Harris, who is a presidential candidate herself! 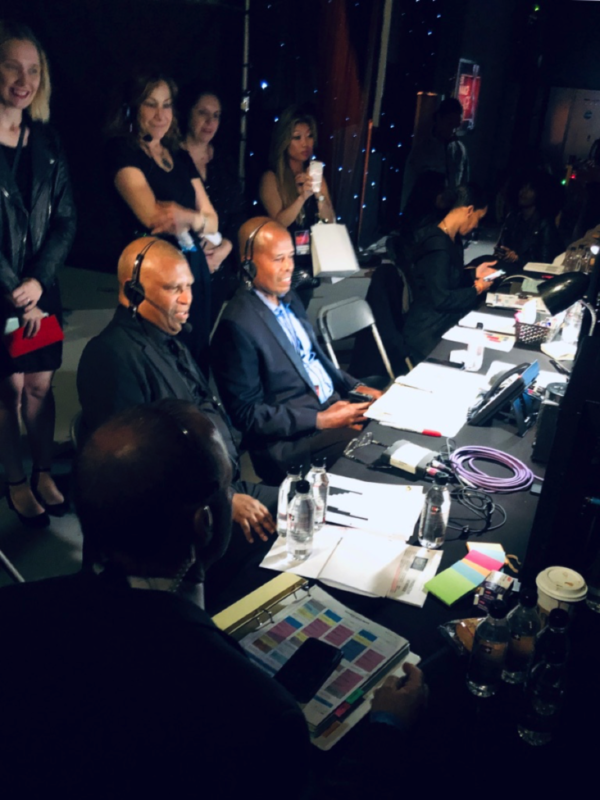 One of the special privileges of serving on the NAACP Foundation Board and member of the Image Awards Selection Committee is being a VIP guest at the annual show. 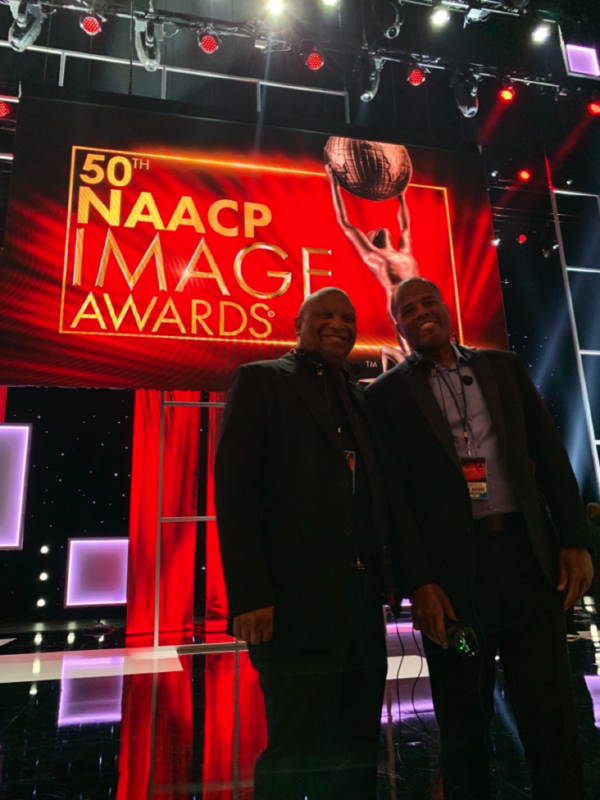 The 50th NAACP Image Awards held its signature event celebrating Black excellence in arts and entertainment for the very first time at Hollywood’s Dolby Theatre — the venue for the annual Academy Awards. 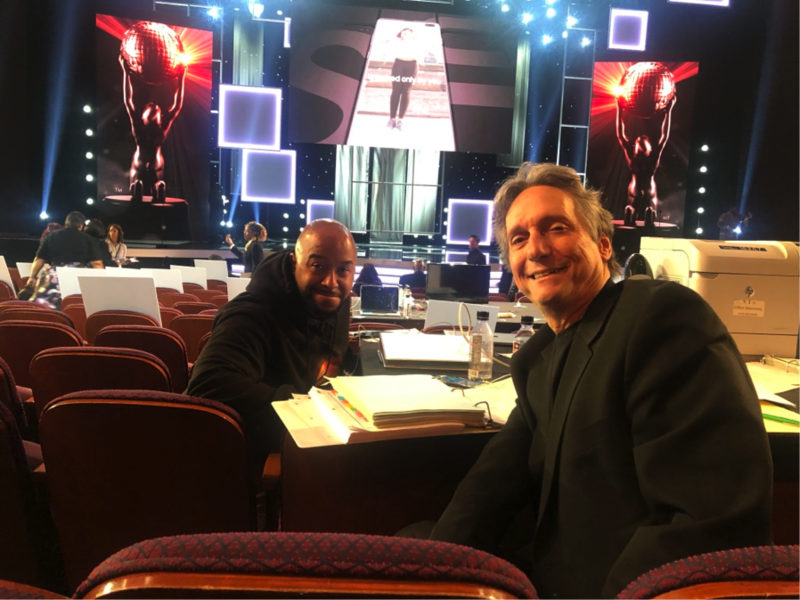 The aesthetic beauty and charm of the theater is breathtaking when experienced in-person, and it is even more transformed and electrifying when filled with Black Hollywood’s finest and some of the most illustrious African American leaders of our time. And, hip-hop mogul Shawn Carter aka Jay-Z won and shared very touching remembrances of his childhood in Brooklyn when accepting the NAACP President’s Award. He dedicated the award to his grandmother Hattie White. She raised seven kids in a walk-up apartment while earning $20 a week. He grew up in that same household, and through the love and tenacity demonstrated by her and the other women in his life he quickly learned it was nothing he could not accomplish. 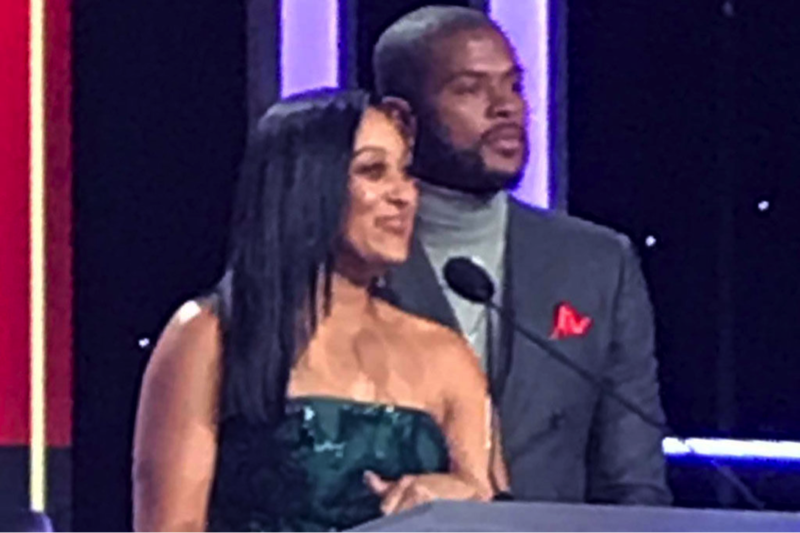 Whereas there is nothing quite like the awards show itself, equally enjoyable was the pre-show dinner with master of ceremonies Loni Love, Tamera Mowry-Housley and Adrienne Houghton from “The Real.” Here, you’re really able to rub shoulders with dignitaries and engage in meaningful conversations. Nothing quite like meeting and speaking with producer Robert Townsend, TV One founder Cathy Hughes, sports commentator Stephen A. Smith within a span of 10 minutes during the dinner event. It was also very cool to fist-bump Indy homeboy Trevor Jackson, who was there serving as an award presenter. Another treat was Donna Brazile cracking jokes and keeping us in stitches during our rides on the coach shuttle to and from the event. To cap things off, an A-list after-party was held at the Roosevelt Hotel on Hollywood Boulevard and hosted by Doug E. Fresh, with Teddy Riley and Blackstreet and Kool Moe Dee performing poolside. 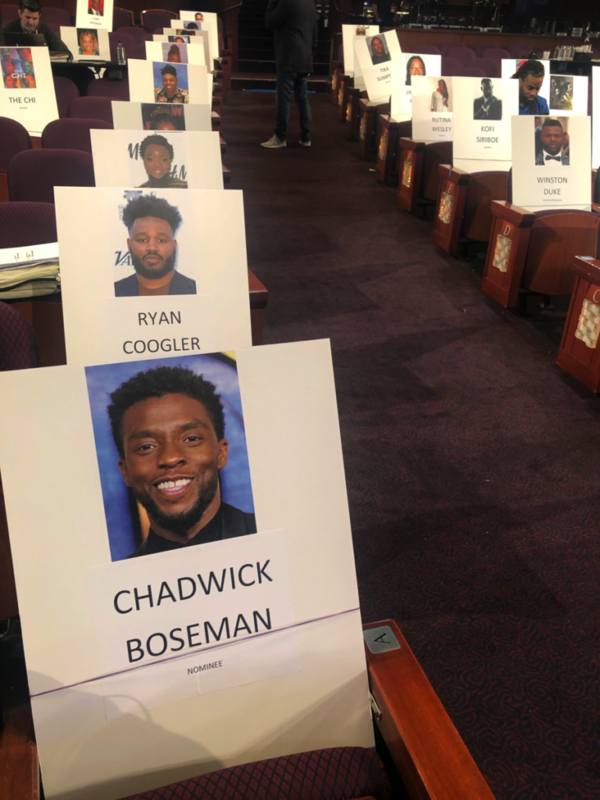 Regina Hall, Chadwick Boseman, Issa Rae, Omari Hardwick and Kofi Siriboe made their rounds at the event — all extremely gracious and unassuming in their demeanor and interactions with guests. 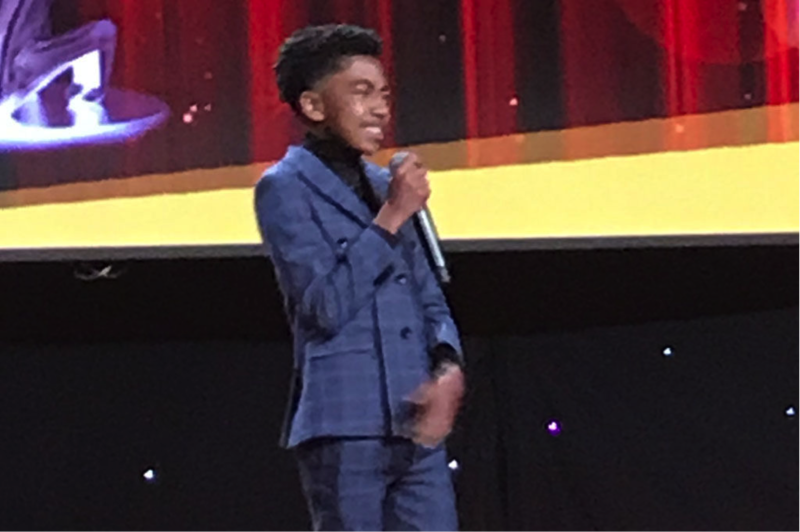 What’s especially nice to see are young actors like Marcus Scribner and Marsai Martin being there with their families having a good time and mingling with all the more seasoned entertainers and high-profile political figures. 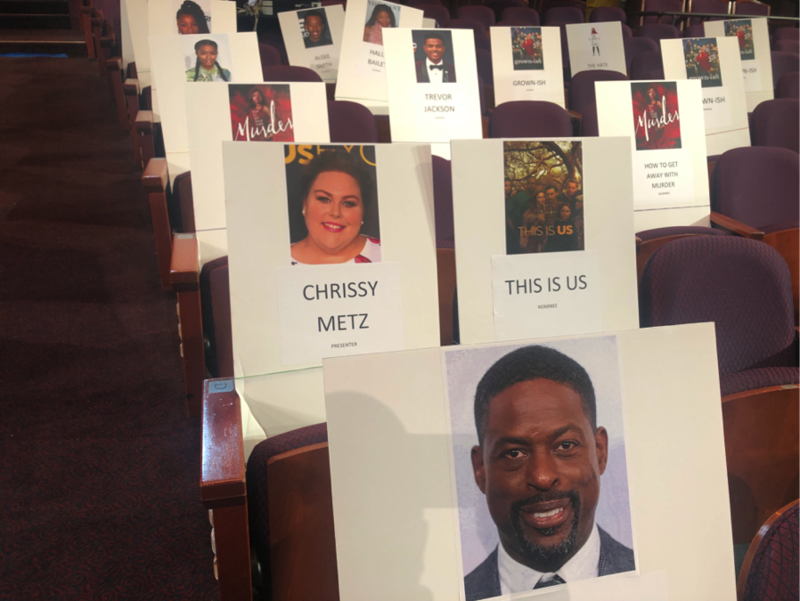 Of course it wouldn’t have been Hollywood if there wasn’t the random sighting of celebrities not attending the NAACP festivities. Such was the case when returning late to my hotel from the after party. Chillin’ just a few feet away from me in the lobby bar was none other than Jack Nicholson kicked back and sipping a martini … just as at ease as if he were in his own living room and clearly admiring all the Black “art” on full display!